ONE SIZE FITS ALL (Small to X-Large – see chart on Fitted page)! The Patent Pending slider is best left tight when first putting it on. The clasp will open and find your approximate fit. 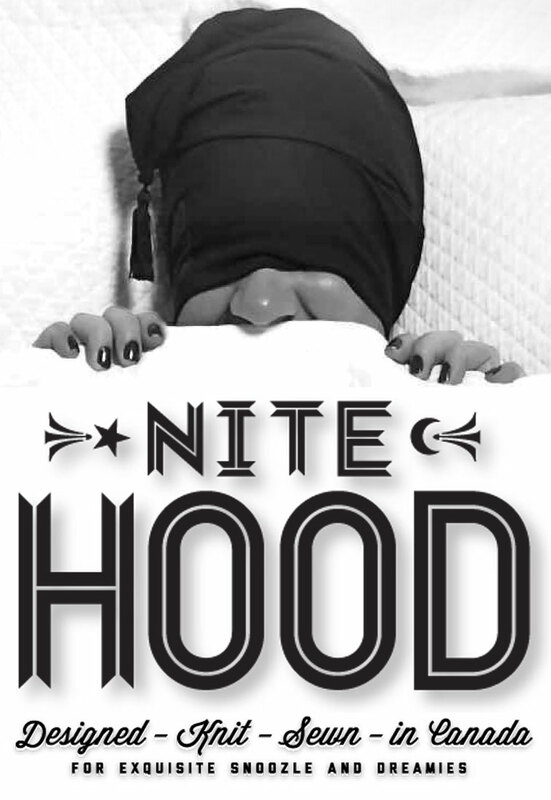 The slider is so small, so user friendly, it is the best and most simple solution for a Nite Hood™ sleep mask. Some people like to wear the Nite Hood™ loose and some like it tight – adjust to your liking! 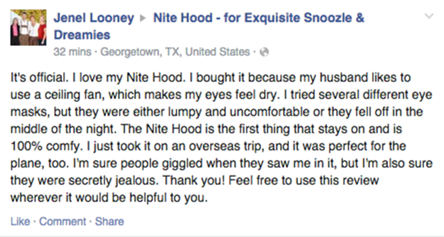 The Nite Hood™ is a new kind of sleep mask. 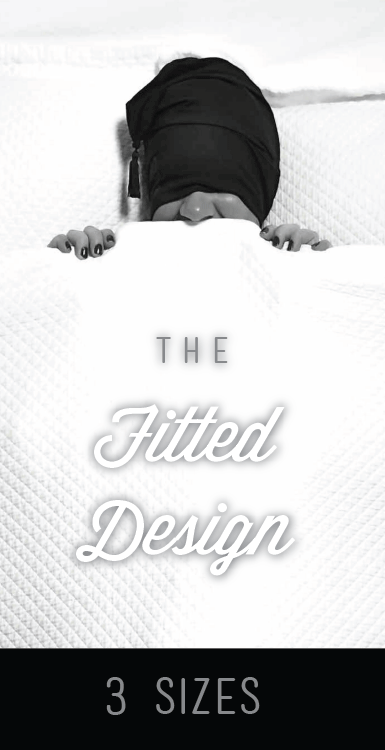 Its essential properties lay in the uniquely knit bamboo fabric that uses opacity and stretch to make a cozy dark space for sleeping. The Nite Hood™ is worn to completely cover the head, the eyes and ears, softly applying gentle contact to key pressure points inducing you to relax and nod off. The bamboo fabric by its nature, is temperature-regulating, allowing it to feel cool when in hot and warm when in cold. It is breathable, durable, washable and cool. 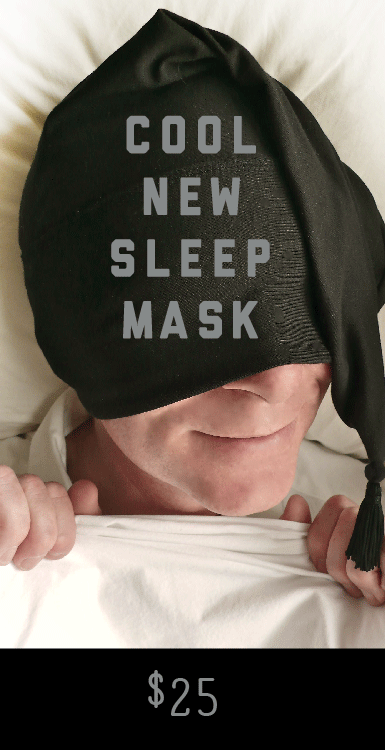 Finally a sleep mask that works! Durable, Washable, Breathable and Cool. it’s your perfect sleep partner. To keep it happy, hand or machine wash in lukewarm water. Do not use chlorine bleach. Rinse thoroughly. Drip dry. If machine drying, use a low / medium temperature setting and turn the tassel inside out. If ironing is required, use a low temperature. 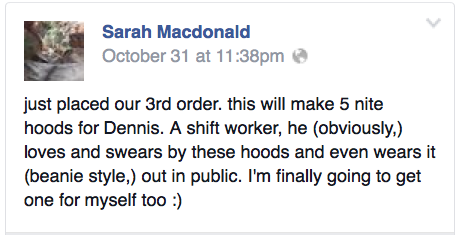 Thank you for Purchasing the NITE HOOD™. Please forward any questions to: sleepy@nitehood.com Also, Read about our CBC’s Dragons Den pitch. IT WAS FUN! You can also see a clip of the Nite Hood Dragons Den Pitch here. We’re a little company in Toronto, Ontario Canada, but we have a product that’s getting some great reviews from happy sleepers around the world. Help us spread the word and reach even more people seeking better sleep. Happy zzzzz’s! To find your size, place a tape measure above your ears and take it around the widest part of your head… but don’t pull the tape tight. Always go up in size if you are between sizes or go to the Adjustable design for the perfect fit.